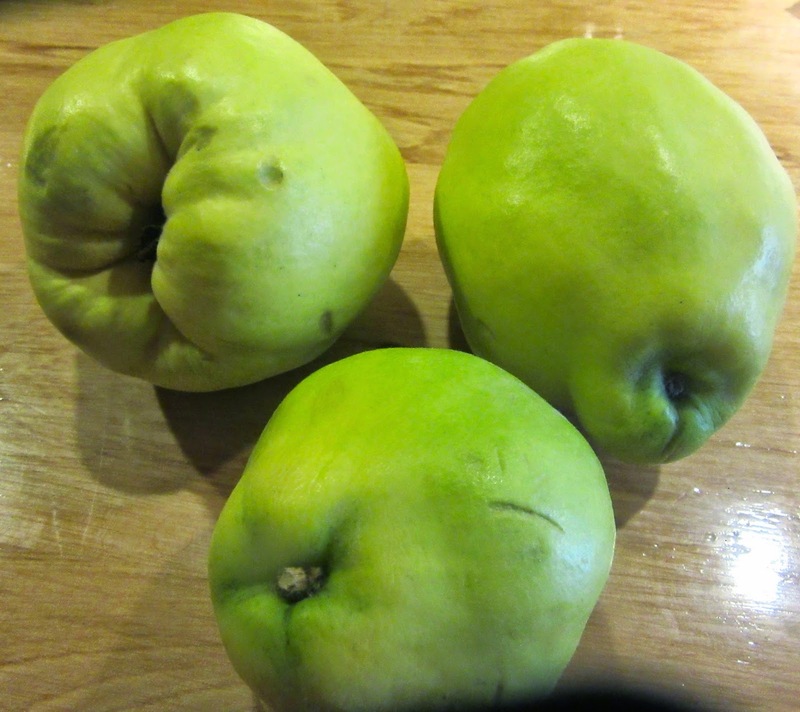 Wash the quinces in put them in cold water. Heat them until soft enough to peel easily. Remove the skins and quarter them. Remove the core. Return them to the pot and continue to gently boil until soft. Remove them from water and mash them to make a purée. Make almond milk by peeling ½ c almonds. Grind them in 1 c of the water used to cook the quinces and 1 c broth. Strain this through a cheesecloth and add the almond milk to the puréed quinces. Add egg yolks and salsa fina. Return to heat. When thick, serve in dishes. Garish with sugar and cinnamon. If this dish is prepared on a fish day omit the egg yolks as they are considered animal products. This can be served hot or cold, as a dessert or to accompany the main dish such as pork or lamb. It is also good poured over cheese. As quince was not in season when making this recipe, apples were used. Red and yellow food coloring was added at the end of cooking time to look more like quinces. As this seemed insipid, pears were used the second time. This was taster but still not satisfied the Medieval Spanish chef tried the recipe using 2 lbs quince jelly. As all three recipes were runny, flour was added to the pear recipe but it overpowered the pears. A tablespoon of jello was added to the apple recipe. That was better. 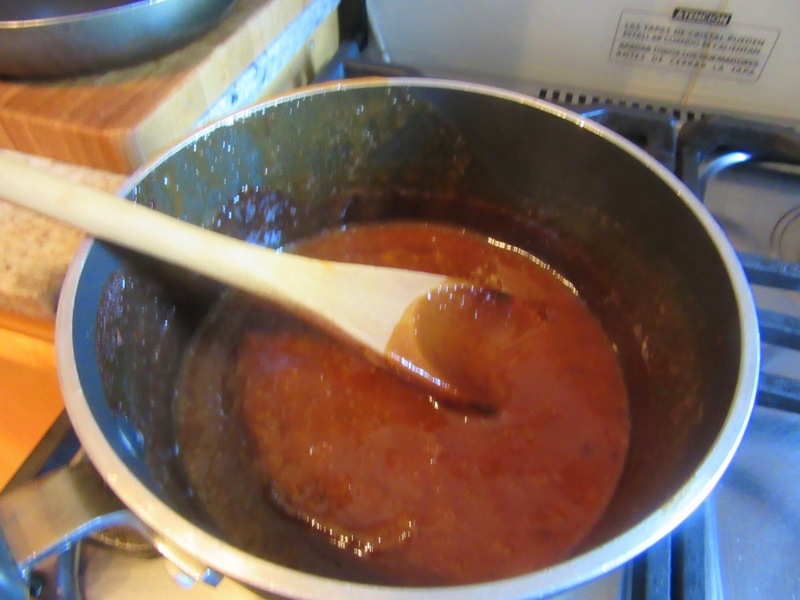 Then 1/2 tbsp it was added to the quince jam recipe. This is very sweet but most tasty. Chicken broth if this is not to be served on a fish day. If it is a fish day, use fish broth. 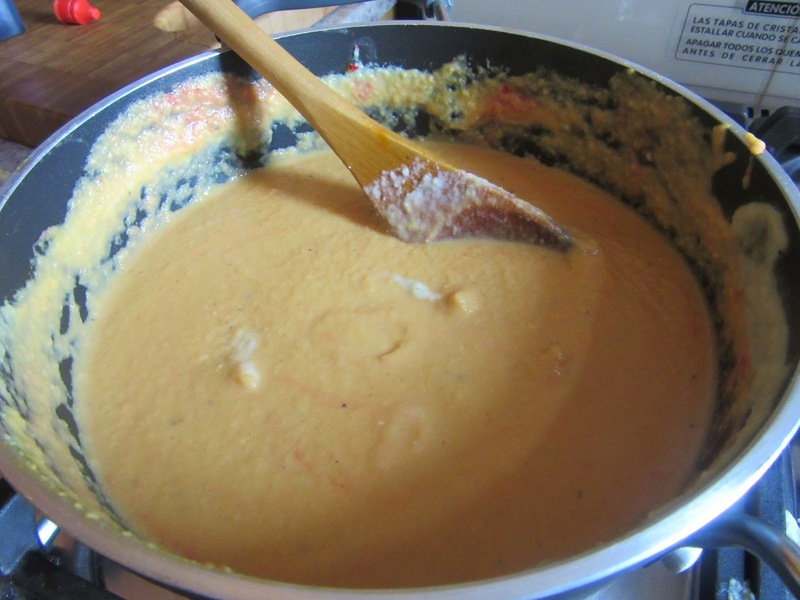 Make a “Fine Sauce" consisting of 2.5 gr ginger, 5 gr saffron, 0.750 gr nutmeg, 5 gr cinnamon, 2.5 gr cardamom and 2.5 gr mace.